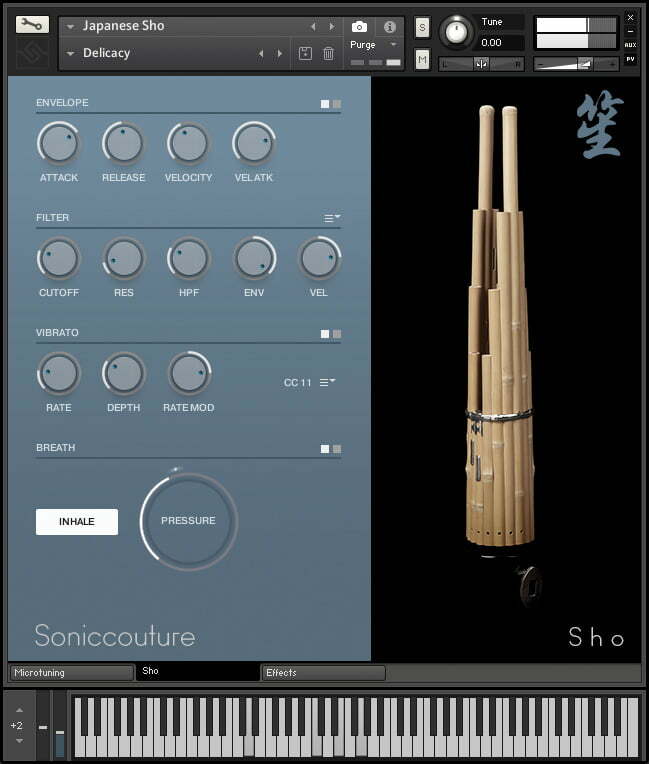 Soniccouture has announced Sheng Khaen Sho, an Asian free reeds collection featuring 3 instruments for Native Instruments Kontakt Player and NKS. The Chinese Sheng, Laotian Khaen, and Japanese Sho are three very similar instruments with a common ancestor. They have been traditionally made from bamboo, the aluminium of the east, since the 14th century BC. Sound is created by both inhaling and exhaling – as with a western mouth-organ. By controlling his breath the player can keep an almost endless sustained sound, characteristic of Japanese Sho technique, or a quick rhythmic pulsing, typical of Khaen performance. 3 instruments: Chinese Sheng, Laotian Khaen, Japanese Sho. 24 bit 96 kHz sampling. 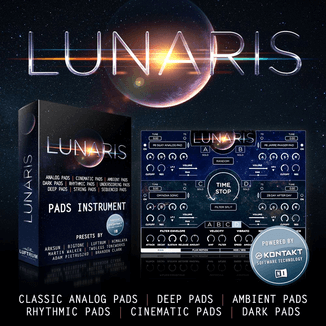 3 GB library with Kontakt NCW compression. 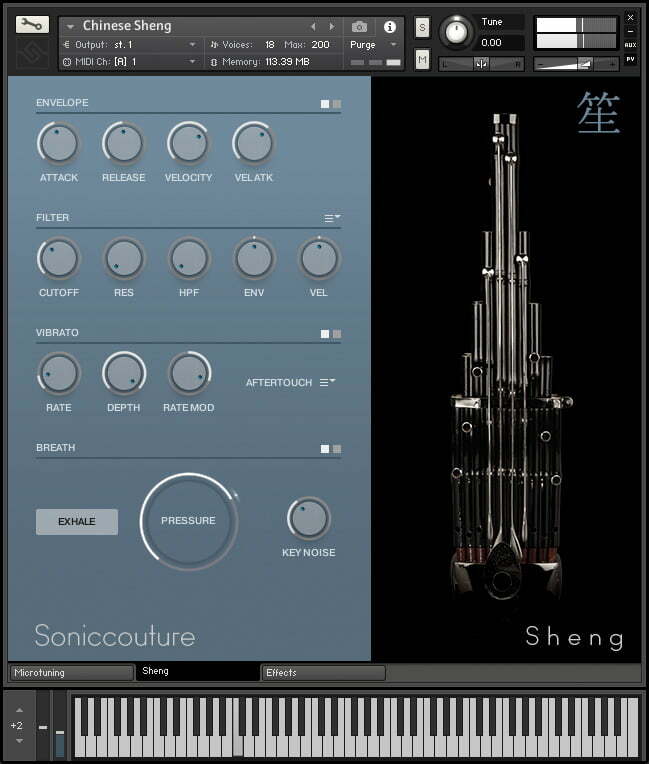 Microtune module with tuning presets. 30 Sound Design snapshot presets. 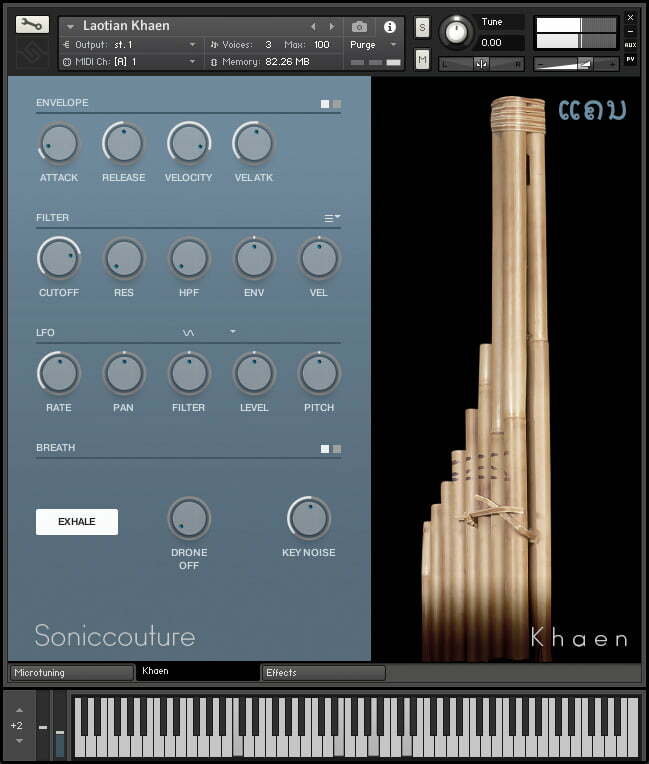 Kontakt Player + NKS compatible. 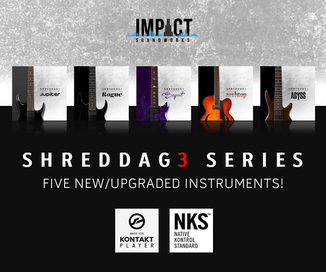 Requires Kontakt 5.6.8. Until February 28th you can get 30% off Sheng Khaen Sho. Discount marked on website. The regular price is 129 EUR / $139 USD.